We like to travel, not spend our weekends at home improvement stores. Between the two of us, we own one hammer, two kinds of screwdrivers, and a ruler. 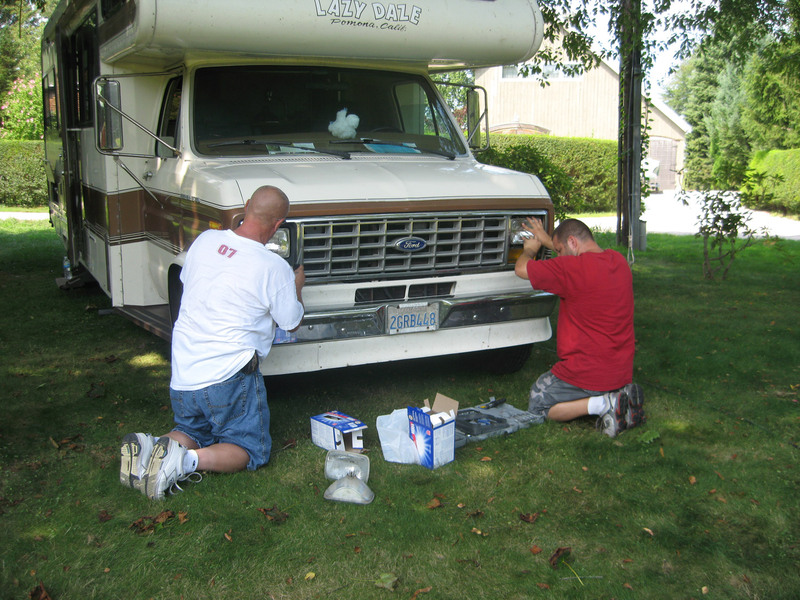 So when we bought our 1988 Motorhome in 2009, we feared that we’d enter into our own D.I.Y. Bermuda triangle. Preparing our rig for full-timing seemed a bit overwhelming. 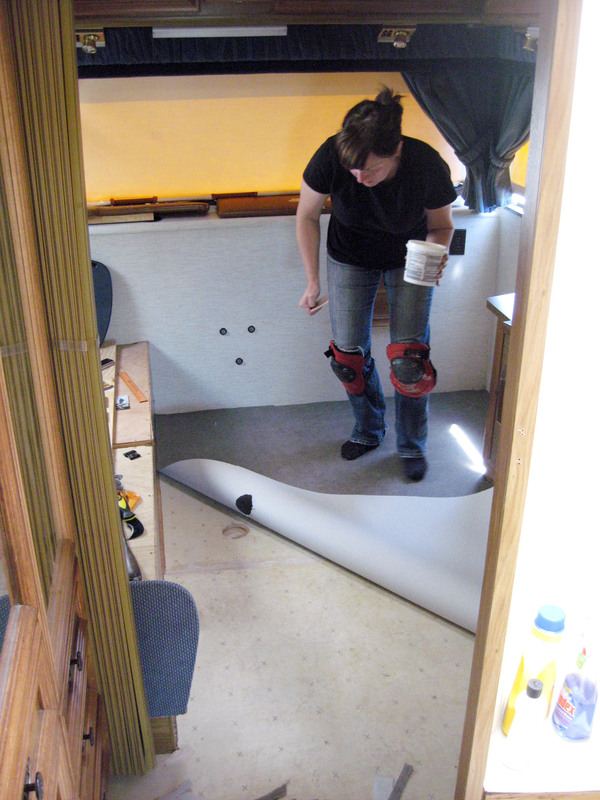 We knew we needed to remove the carpet, clean the appliances, and tune-up the engine. However the list didn’t stop there. It grew to include replacing the old toilet, adding solar, putting in a water filtration system, building a custom bookcase, and attaching a bike rack. Then we tried to make it all happen before hitting the road. Grasping at our favorite tool, the Internet, we read about dozens of other handy-gurus doing amazing modifications. Unfortunately, all of this was well beyond our skill set and our tool set. It was a bit intimidating for two desk jockeys like us. In no time our list of must-do additions, upgrades, and modifications got buried underneath our gas receipts. We hit the road without doing many of the intended upgrades. Only stopping to fix the broken pieces and make the necessary replacements along the way. No bells. No whistles. This seemed easy but the rack was too close, causing rubbing. 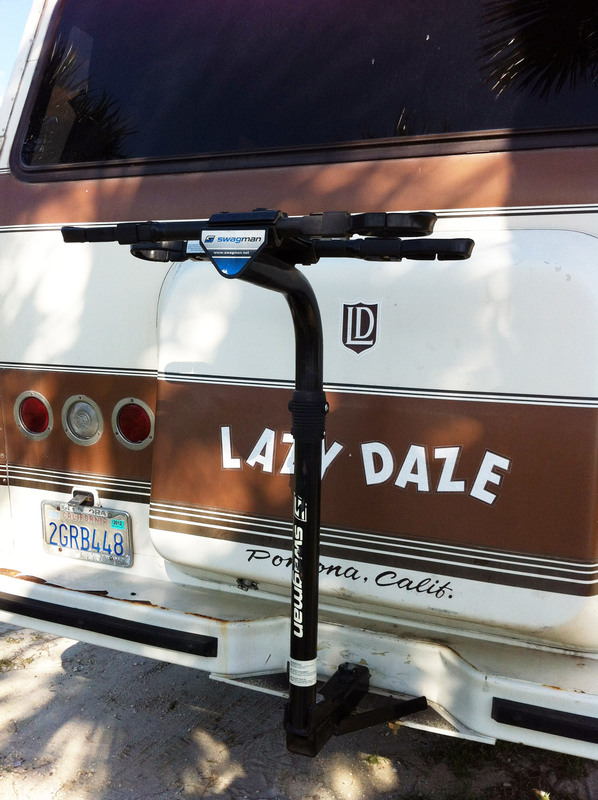 With help from Uncle Al, then Matt and Paul Vieira, we created an extender for the hitch mount to keep the bikes more steady and from scratching anymore paint off the spare tire cover. I like spray paint and this was an easy one with style points. 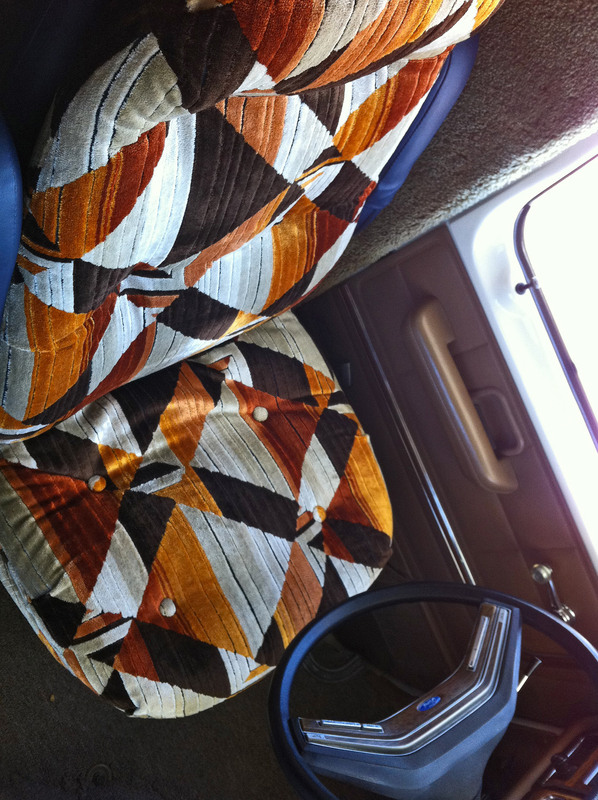 The last owner upholstered these too but, did a bad job. Choosing some vintage material made the Cheddar Yeti jump for joy. The new foam should have improved the ride but didn’t. The box of tapes was a bit much to carry around. Although kinda fun to find classics at thrift stores for 25 cents, the reality was the player was crappy and ended up breaking anyway, for the better. This has been our biggest mod to date. A dirty and difficult job that we chose to DIY because installation was expensive. We also were able to afford a higher grade vinyl by taking on the labor ourselves. Nuts! This was a lucky mod. The cupboard beneath the fridge was big enough for the cat box. 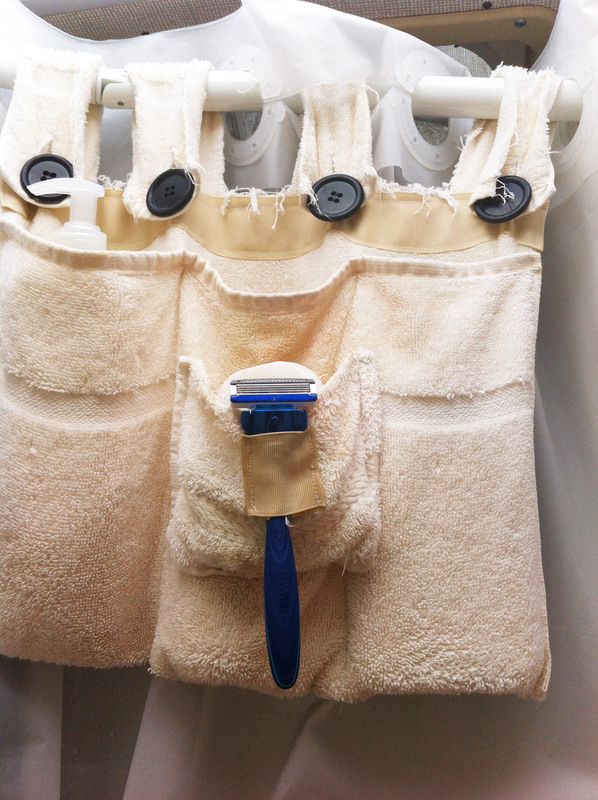 Attaching a mud flap keeps it hidden and accessible for our pet without opposing thumbs. 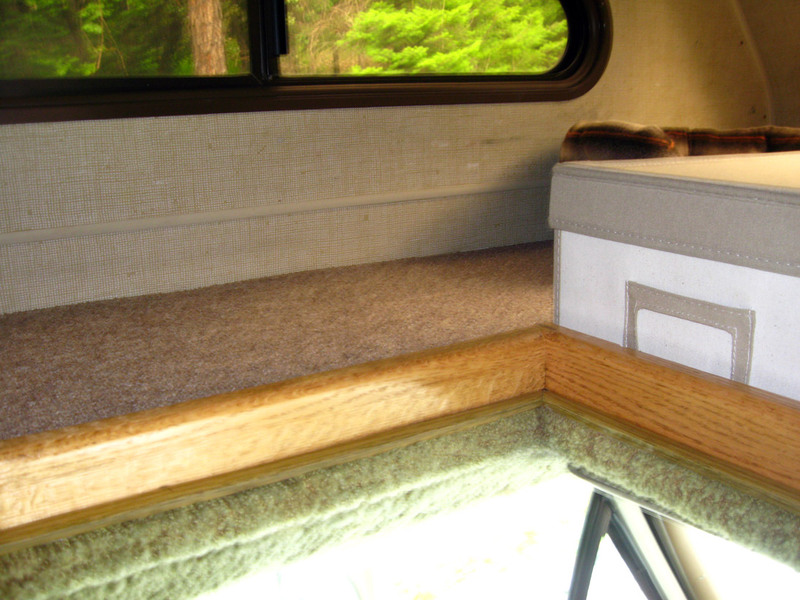 When we removed the cab bed, the remaining platform was perfect for storage. The problem was, anything we’d put up there would slide around or fall on our heads. So Charlie created a custom fitted oak railing for us. Nice! The window box was already here but we removed the hinged door. 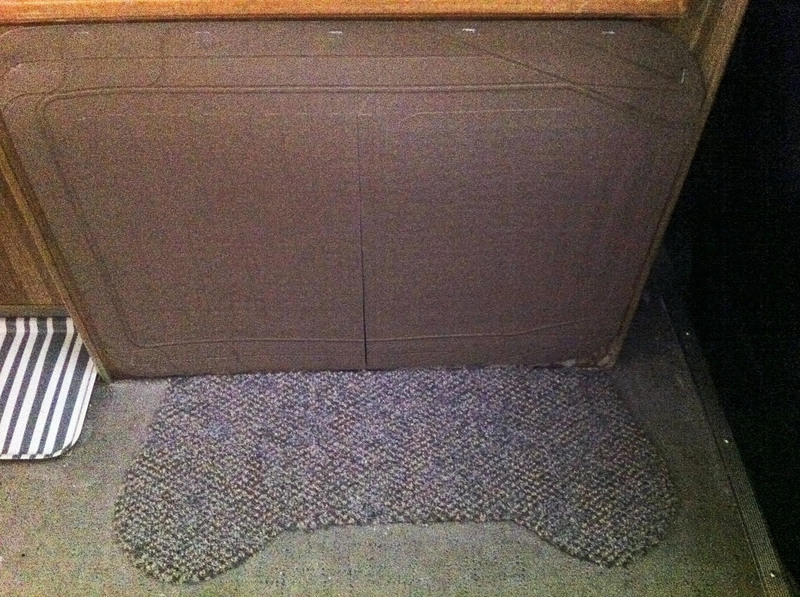 We lined the box with plastic and installed the grow light where the 12v bunk light was. Keeping the herbs alive has not been as easy. Succulents are holding on though. 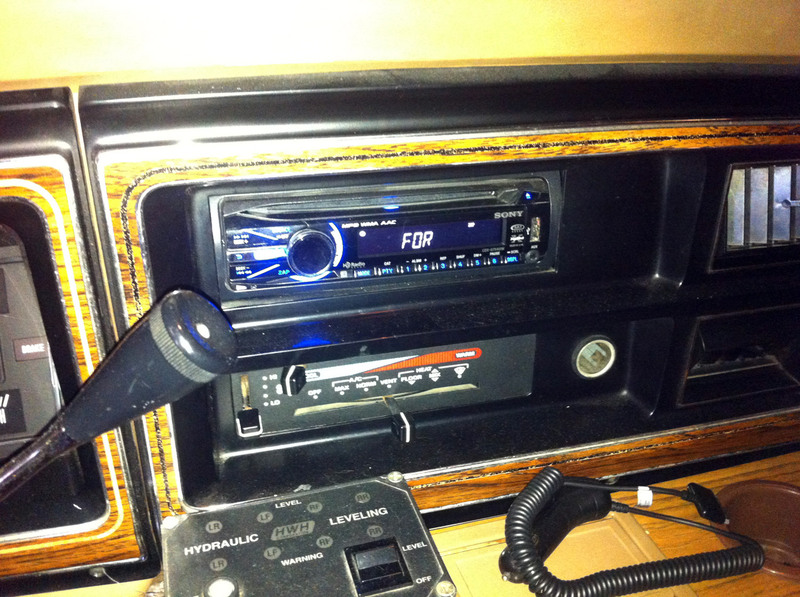 One of the most useful mods we’ve done. We stapled a Velcro strip to the ceiling where the cab begins. 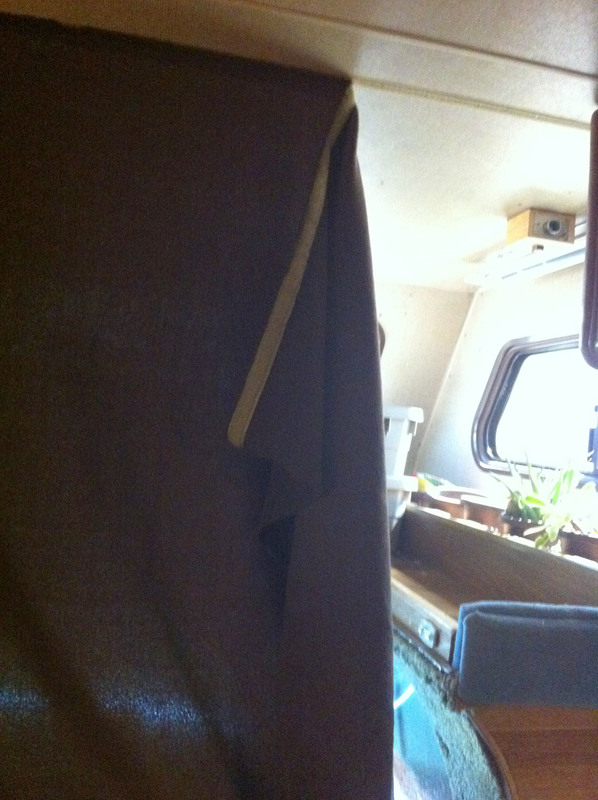 Mom sewed two brown fleece lengths together and the Velcro on the top. The fleece was inexpensive and works great for insulating the living area in hot and cold weather. Unused space made useful. We could have never done this in a million years. It’s really rad and totally custom. 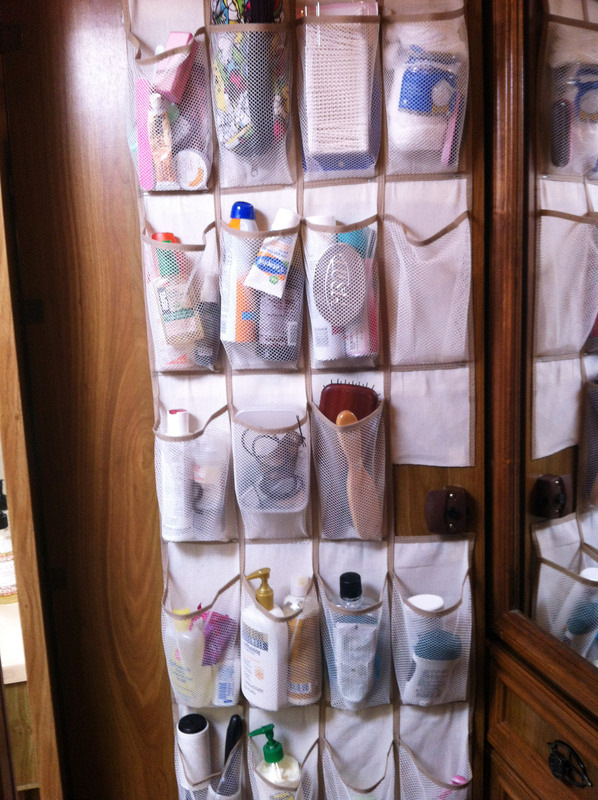 When your house moves so does all the stuff in the shower… this was a great solution. Washable and made from an old hand towel. It hold all of our soaps, shampoo, conditioner and a razor. Sweet. Very worth the cost. 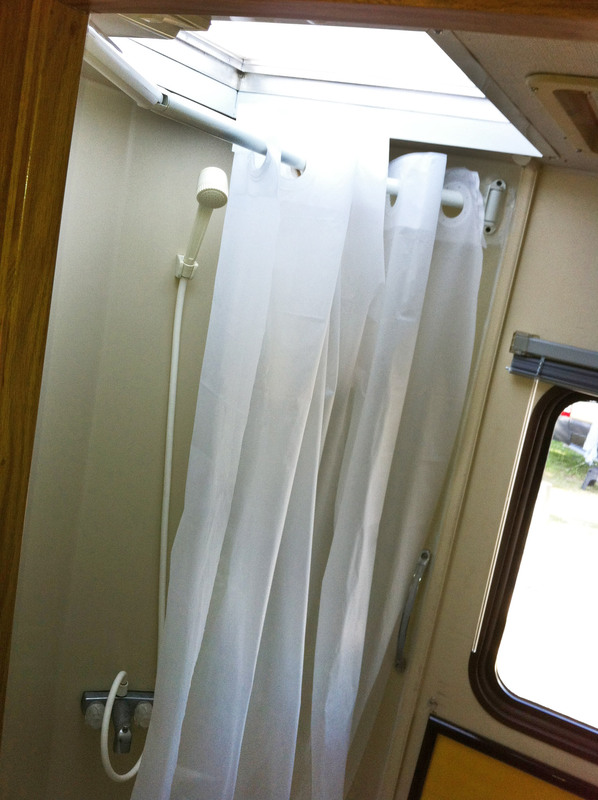 Folds in when you don’t need it and extends out when you’re in the shower to give you about a foot of extra elbow room. Ours weren’t broken but, they were super cheap and flimsy, so we decided to replace them. 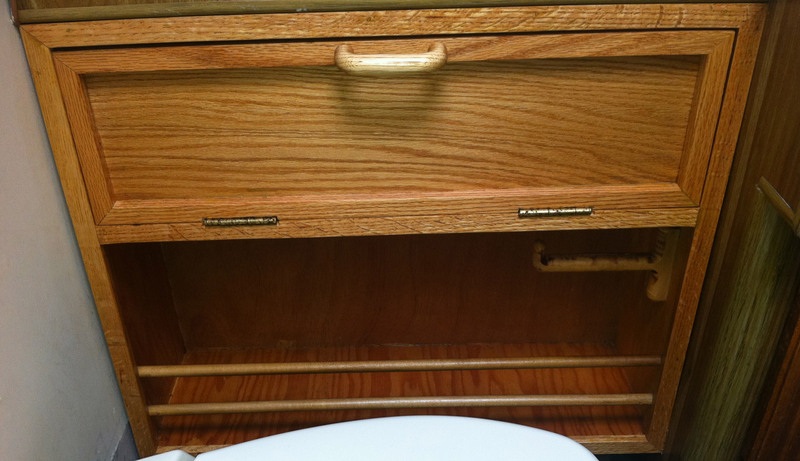 The plumbing part was challenging because of how small the space is underneath. 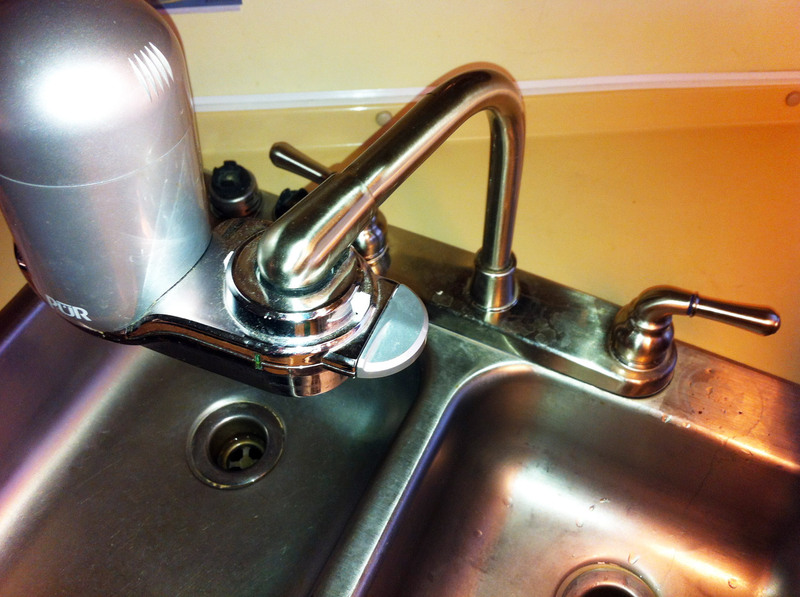 So, with Charlie’s help, Dennis made some custom tools out of PVC to get the faucets installed. We used left over paint from Dad’s garage to cover the hideous wallpaper. What to do with all these pennies? While in Tucson, Arizona we saw this at the Cup Cafe. Easy to glue on and not a bad piggy bank. We’re thinking this will increase the Cheddar Yeti’s value. We got this idea from our full timer friends Jenn and Johnny. 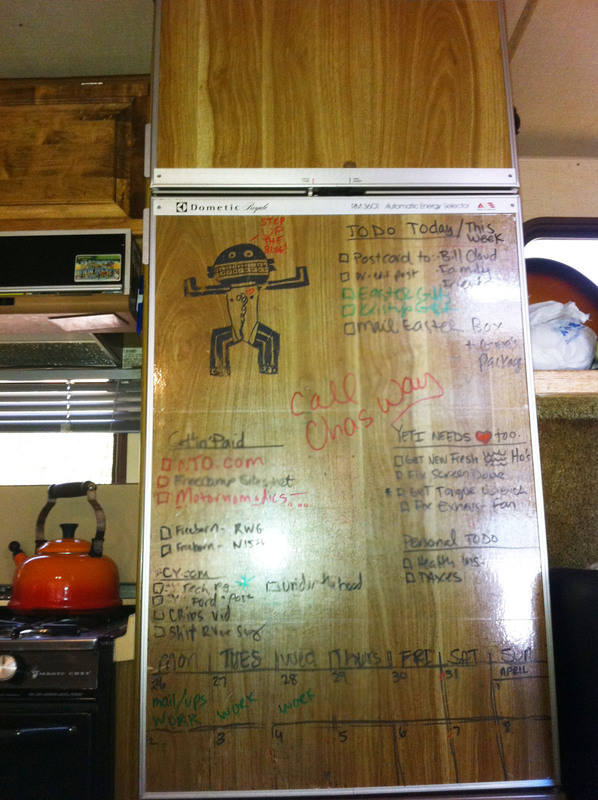 They cut a real dry erase board to fit their fridge door facing. This was beyond our capabilities.. and we don’t travel with a skill saw. Our solution was clear laminate. Just peel n’ stick… I used my ruler. Our dinette table had a missing leaf but, all of the hardware to extend the table remained. We had an extra removable table that we no longer had use for, so we used the matching top to make the leaf. Now we have a table that extends an additional 14″. After six months of sleeping on the two couch cushions that made up our bed, we were ready to make the lounge a full-time bedroom. 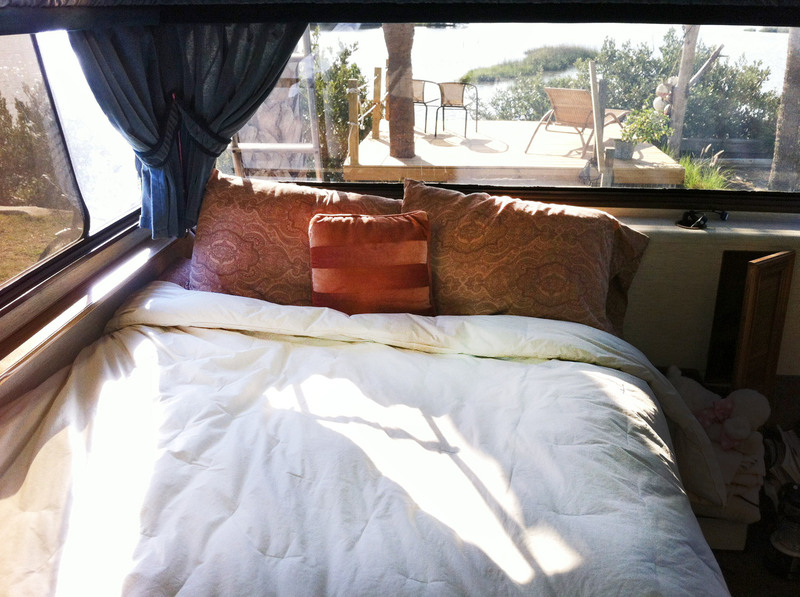 We tossed the cushions and got a high-grade futon mattress. This still allows us to make it back into a couch but, we don’t. A few staples and you have a pretty awesome multi-pocket catch-all. We can now have more than one bar of soap at a time and even a few options of bug spray, sunscreen, and a full box of q-tips… all beyond travel size. 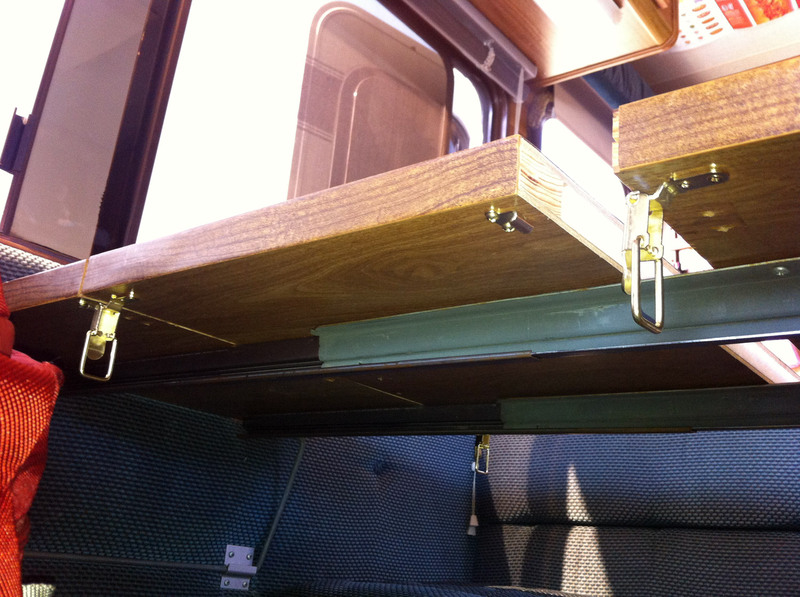 The beige ones looked dingy and the dinette shade was broken. The hardware that the company sent was not as sturdy as the hardware that was already being used so we used a mixture of both. 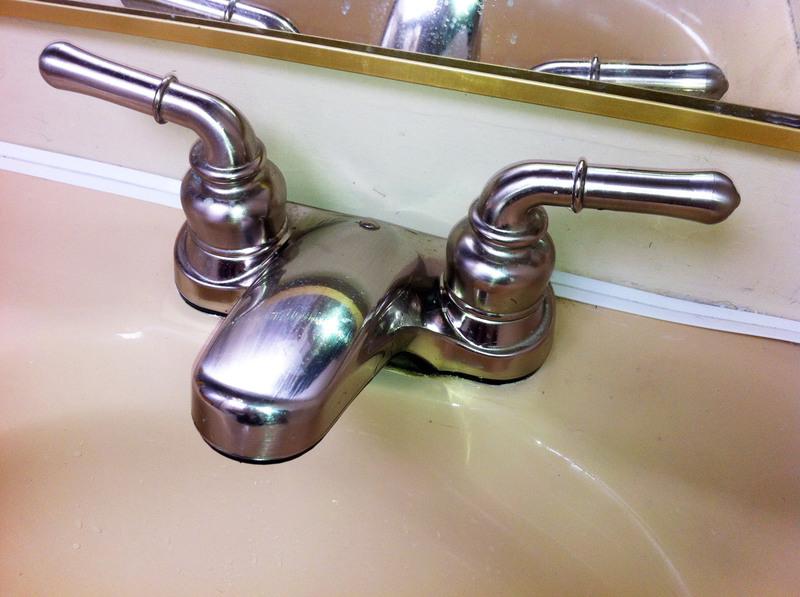 We replaced them with brushed steel ones and they look great. Not too difficult even for us. Ok, so not a true mod but, it works. 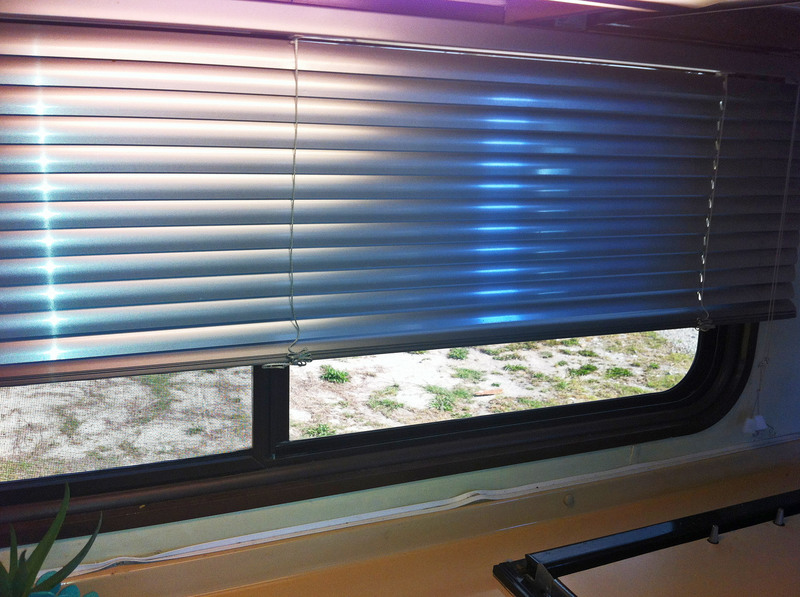 Our dinette window rattles when we drive and the screen doesn’t seem to fit anymore. 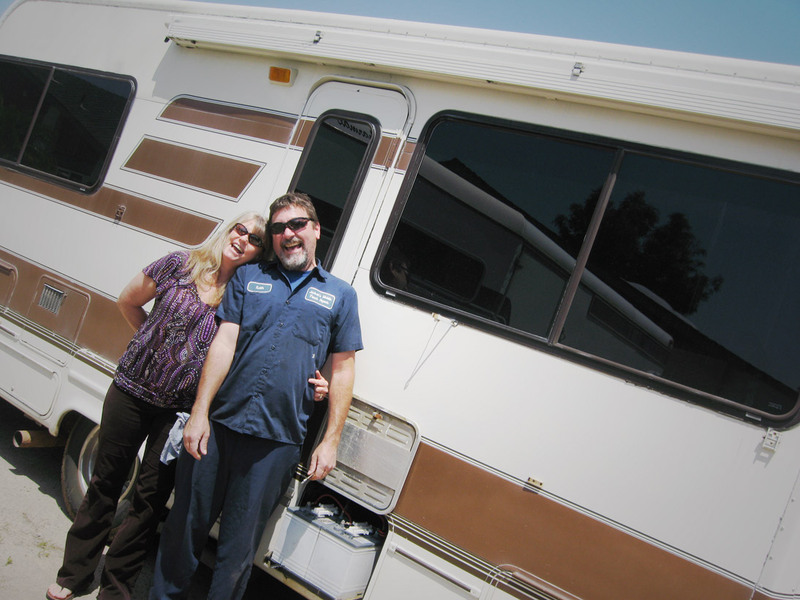 Probably an issue with settling and the age of the RV. 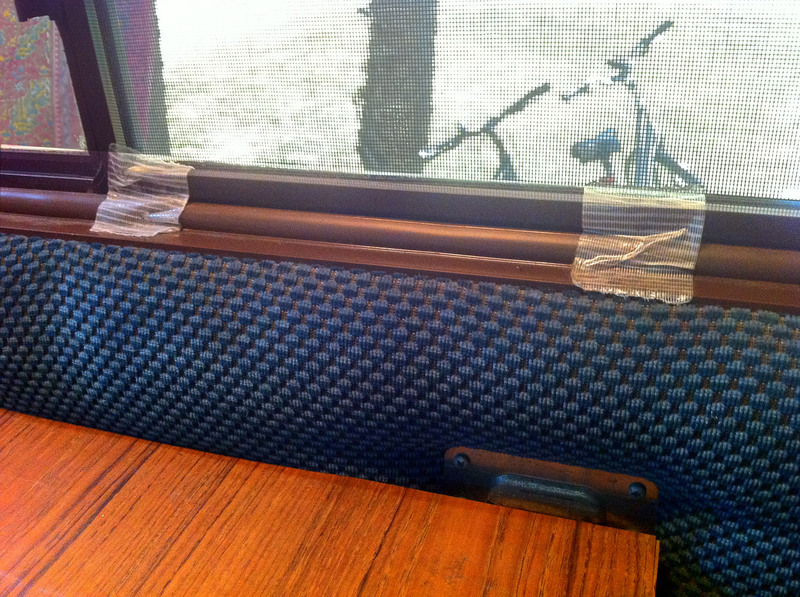 So instead of the hundreds of dollars to replace a perfectly good window, we called on Duct Tape. A few small pieces and the issues is “mostly” fixed. As you can see, we’ve made it without solar panels, water filtration, and most the mods we thought we needed. Saving thousands while we figured out our own unique road lifestyle. For instance, we move frequently, thus starting the engine and charging our batteries regularly. So, solar panels are hardly necessary for our travel style. 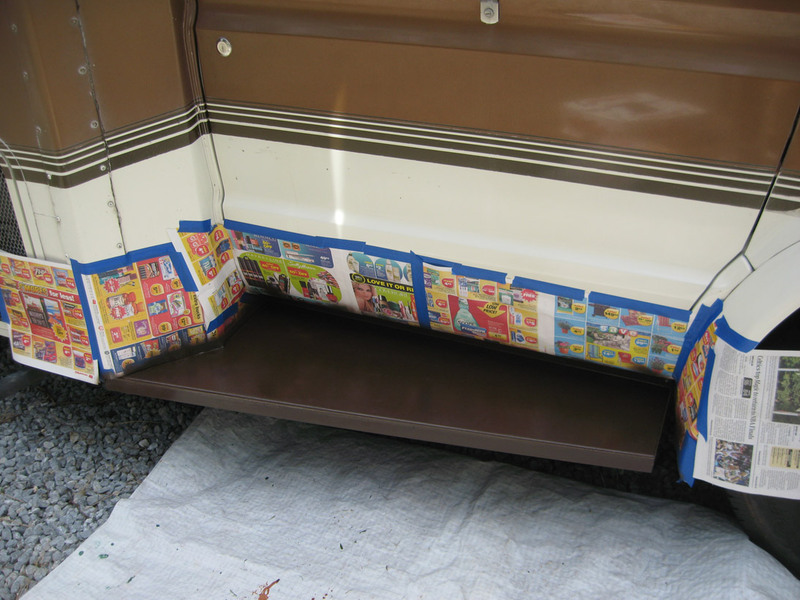 The mods we did do were in part because we had the help of friends and family. 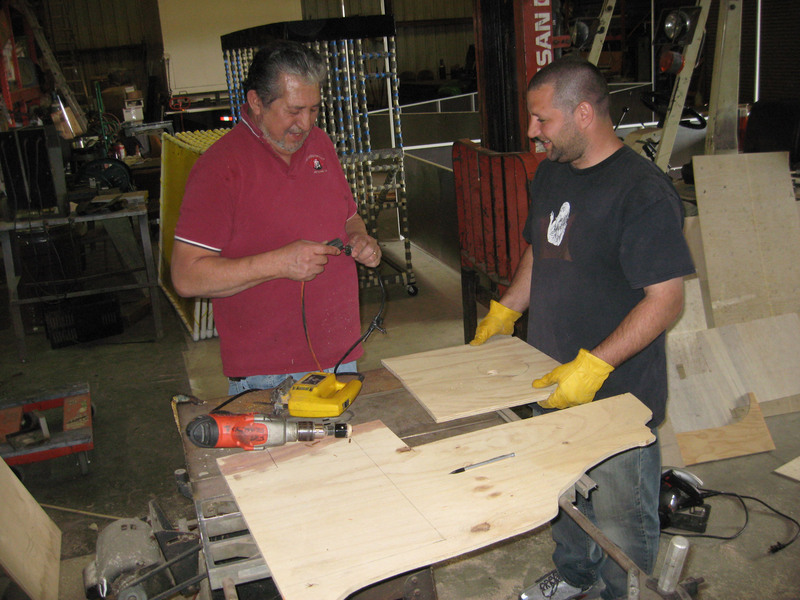 Their tools and skill sets that went far beyond our own made our DIY projects much more bearable. Bob’s Garage (Dad) & Angel the Handyman. If you’re like us and have more of a travel bug than a DIY instinct, fear not. You’ll learn like we have to get your hands dirty when necessary. For those of you who love the mod process, we’ll be right over with a pizza and a six-pack! Either way, if you’re planning on full timing, then both your list of modifications and destinations will continue to grow. The best part for us is that we’ve managed to make it all over the U.S with few modifications or expensive additions. The Cheddar Yeti is old and it’s full of quirks, cracks, and brittle parts but, it’s paid for. We’re glad that we found an older unit that we could afford to buy outright and have cash left to fix it up a bit. Not having payments has also given us flexibility in travel and extra room in the budget for when the unexpected happens. When we’re not 100% sure of a solution, we wait until the answer presents itself, and it usually does in one way or another. What a great collection of mods. 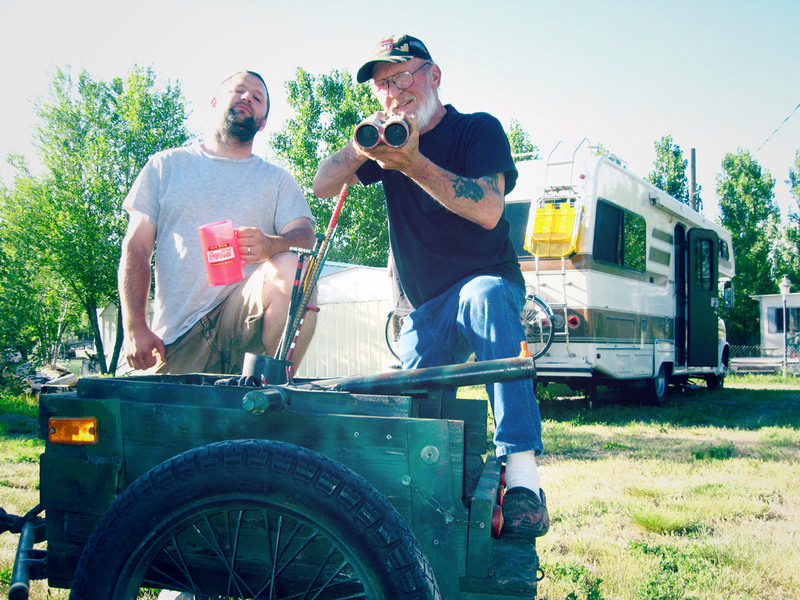 Isn’t it half the fun of RVing? Nice job! Sweet mods! Doesn’t it just feel empowering to make your home really your own? And as you do the mods as you travel, each one has a story & location to go along with it. Can’t wait to check them out in person! Yeah, getting on the road first was a good decision for us, we do a little and travel a little. Mixing it up! You’re so right about the each one having a story… the people who have help us out are pretty talented, wild, and wonderful. Cool, my jar is getting low. 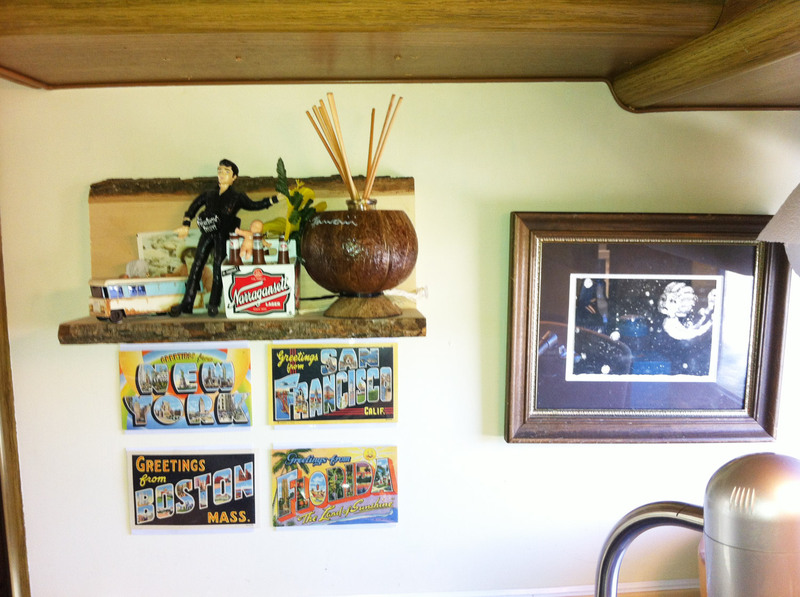 it looks awesome and was so happy to see it in person, but this really showcases your improvements – I love your home!! Thanks Debby! Glad to FINALLY have you over. Like BeBe, the floors were a must… I still can’t believe we did it ourselves though. We have to be proud of these wee accomplishments… ’cause they’re big to us! 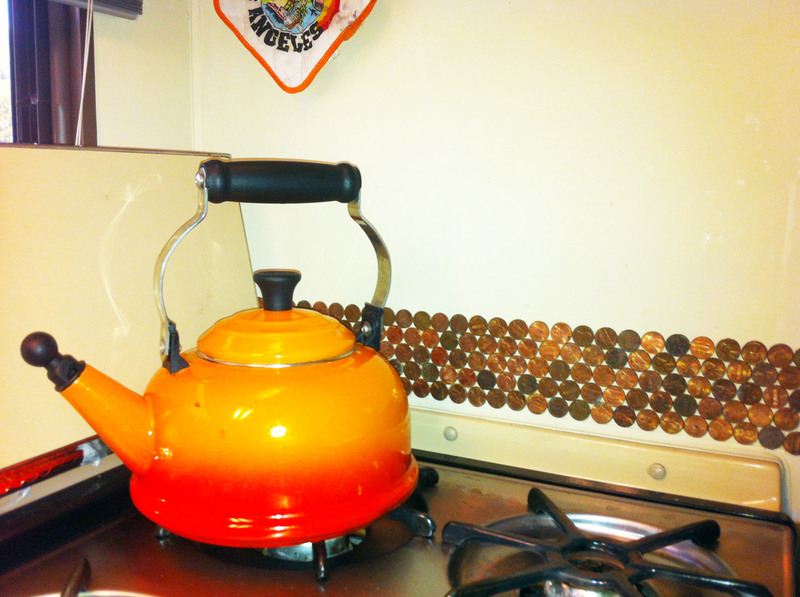 Totally missed the penny backsplash when we visited with you in Pensacola. LOVE THAT. 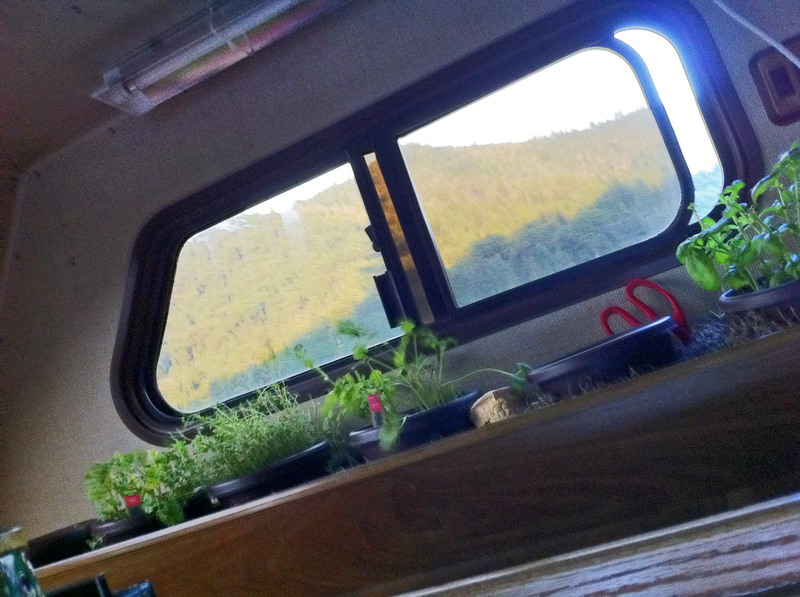 Road hugs from the Airstream!